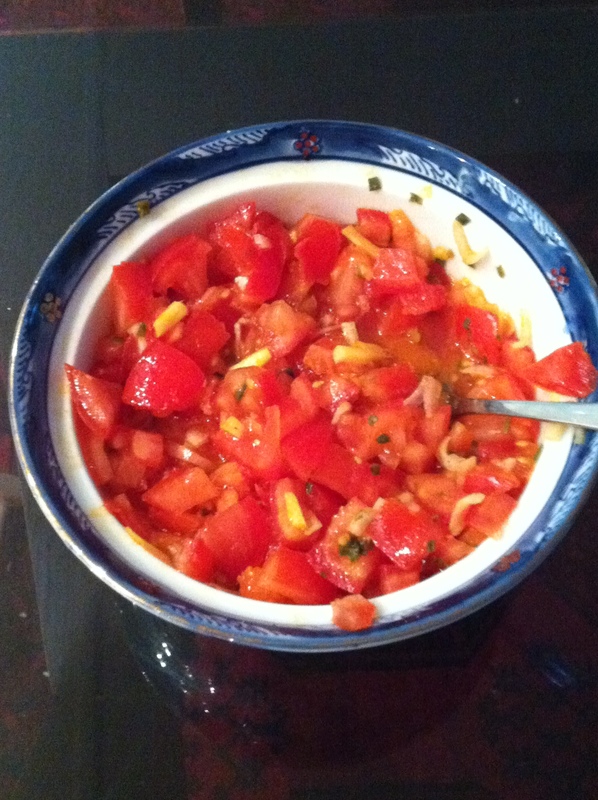 A while ago, I was referring to Creole cuisine as a source of cooking inspiration for a tomato salad recipe. Tonight it is an alternative to the classic mashed potatoes and sausage and gravy. Here comes Rougail saucisse. ginger, turmeric, garlic, onions, tomato puree (or fresh tomatoes), laurel, thyme, salt and pepper. Boil the sausage in water for 10 min, then pan fry them with garlic and onion, turmeric, ginger, until everything reaches a golden color. Add tomatoes, laurel and thyme and cook at low heat until tomatoes are cooked. Dinner’s ready! It goes very well with plain rice but I try it on occasions with steamed new potatoes and it is not bad at all. Blondy and Bonny enjoy it very much. I make this recipe for the whole family so I usually remove the red chili that is usually used in creole cooking, but feel free to add some to spice up your meal! I felt like eating a curry tonight, and I has some chicken in the fridge that I had to eat, so be it. Chicken curry! I fried onions with garlic in rapeseed oil, added a tea-spoon of curry, turmeric, ginger, added the chicken and pan-fried until it became golden then I added fresh tomatoes this time (that’s the tomatoes we see in the pics, they have changed colour! I’ve tried with passata before and it’s good as well) and coconut milk until the sauce thickened (about 20 min). I served it with rice. And I am happy to add one more family recipe to my repertoire. I had tried this with swordfish before and Blue Eyes and the girls loved it as well! I love all kind of food and Creole Cuisine is a good souce of inspiration sometimes. Here is a family recipe inspired from Creole Cuisine of a tomato salad that to me goes very well with plain rice and grilled meat. Finely chopped fresh tomatoes, salt and pepper, olive oil, chives, finely chopped fresh shallots, finely chopped ginger and tumeric. served chilled. I love it. The official name in English is French Bread and the reason why I call it Lost Paradise is because French Bread is typically the kind of dishes cooked by your mother or grand mother that you loved when you were little but that you never remember to do for your own children. Today was another good example when I heard a nanny saying to the 2 children she was taking care of “of course Pain Perdu how come I have not baked any to you yet. My mum used to bake some for me and I loved it” when I was feeding Blondie and Bonny with it for tea. Same thing happened a while ago when I served French Bread to some friends. Old dry bread, any type cut into slices. 50 cl of warm milk in which I put fresh vanilla pod cut into 2, let them brew for a while. A bit of sugar, some recipe will suggest to add 150g of sugar, I usually put only a few grams of sugar in the milk (see our post about damage of sugar in our society) and save it for the final product if requested. stir the milk with the eggs, soak slices of bread in the mixture for as long as bread becomes softer. In a pan melt butter and fry each slice of bread on both sides until they become golden. 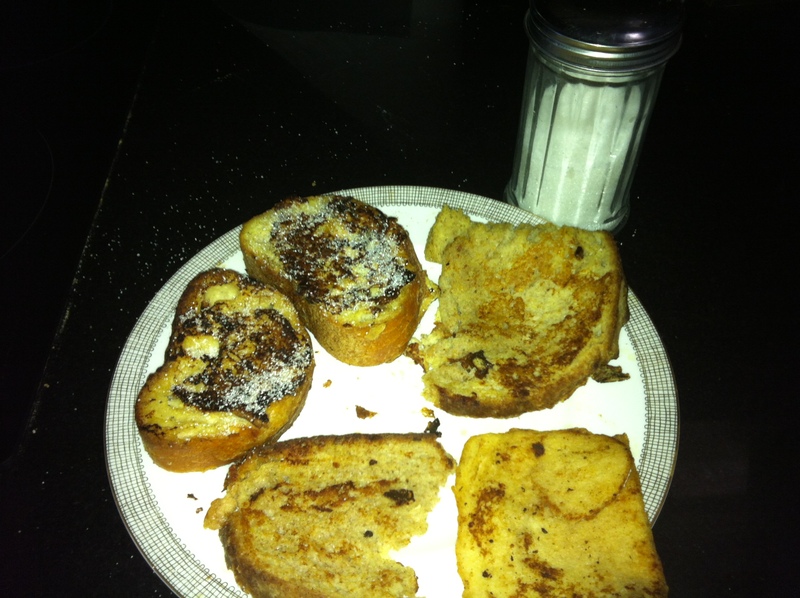 I usuall serve French Bread for my girls tea or for our family dessert. In our family, Blue Eyes and the girls usually eat it with sugar spread on top. But my dream is to eat it with fresh berries on top and plain yogurt. Blue Eyes came back from the farmers’ market with a bag full of Courgette Flowers. Then I thought : what on earth am I going to do with courgette flower? This brought me back 25 years earlier. I was a teen at the time and I spent one of my last summer holidays with my parents at their best friends’ summer house in the mountain near Nice. They had 2 sons a bit older than me and we had great fun (end of story, you won’t get any more from me). 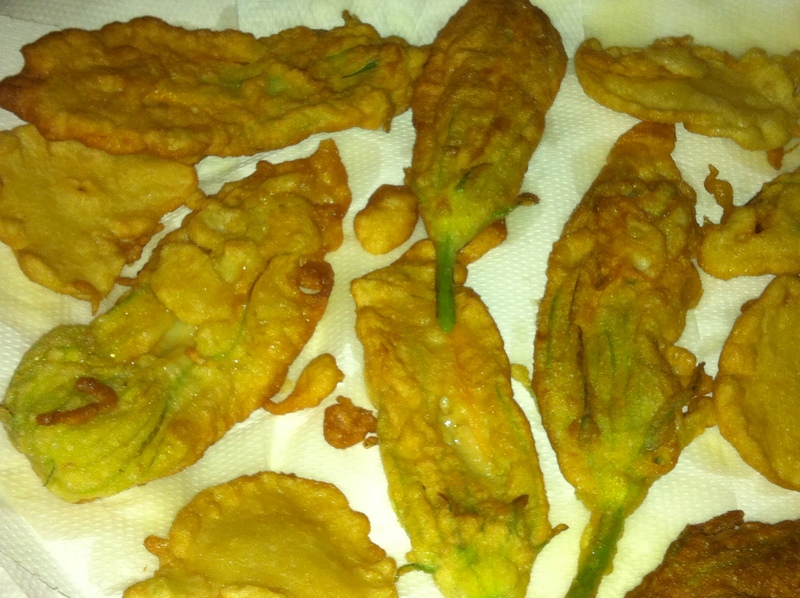 Anyway, G., my mum’s best friend cooked courgette flower beignets for us. It was delicious but it was the first and the last time I had some! To me this was the kind of cooking that was too difficult for a novice like me. Well I was not going to throw away those beautiful courgette flowers so I gave it a go, and guess what, it is delicious but it is also very simple and quick to prepare. You just need to prepare the dough 1 hour ahead of baking because it needs to rest. I took bits and pieces from various recipes on the internet and this is what I finally managed to do. Mix flour, with eggs, oil, beer, salt and parsley, stir until you reach an homogeneous dough. Keep it covered for one hour (not in the fridge). For more smoothness you can separate the yolks from the whites and add whisked whites. In a pan, heat oil (Half a centimeter, I use a mix of rapeseed and sunflower oils). Plundge the flower in the dough and let them fry in the pan until the dough becomes golden. Once ready, place the beignet on several layers of tissue papers. Eat warm, not hot. With the rest of the dough I made dough balls, just drop a spoon of dough in the pan and fry it until it becomes golden. It’s very good as an appetizer or as a main dish. Bonny loved them and Blondie liked the plain one. I wish we had have a nicer weather to complement them! We had lentils tonight. 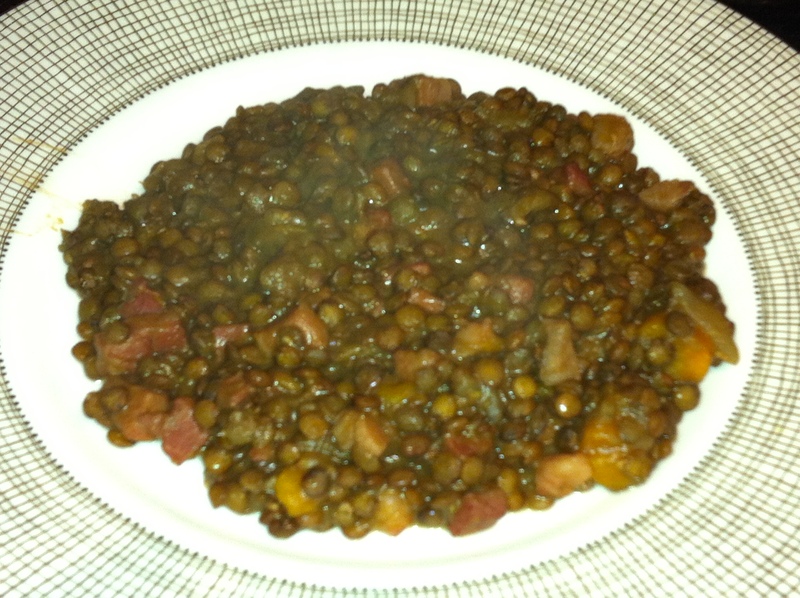 Lentils is not something I normally cook but I had this in mind for a while. I just wanted something new for the girls to experience and also because I like them! I had some pancetta in the fridge and carrots we needed to eat before a long week end away. It was perfect! In a pressure cooker, place puy lentils (or other lentils, sorry being French that is the only lentils I know!) with 4 times their water volume (you can also buy them precooked), add sea salt (a little), then a chopped onion and trunks of carrots and diced pancetta. Once the pressure is on, cook for 10 to 15 min. The look is so so but it tasted really good. That’s the season for asparagus and we love them in any colour: green, purple, white. We love eating them the simplest way: boiled or steamed (less than 10 min. depending on their thickness). We eat them usually warm or cold with mayonnaise or vinaigrette. Another recipe that I love to do is green asparagus with carrots that I mix with pasta. I pan fry carrots first in a drop of olive oil with a bit of garlic and soon after I add asparagus (a couple of minutes later because carrots are longer to cook than asparagus). I cover the whole with boiling water, add a vegetable stock and let the water evaporate. At the same time I boil pasta. When they are all ready, I mix them all together. Start the risotto by frying a shallot and garlic clove in a hot pan with olive oil. Add the risotto rice (200g for 2 people) and fry until coated in oil. Add 250ml of white wine and simmer until absorbed by the rice. 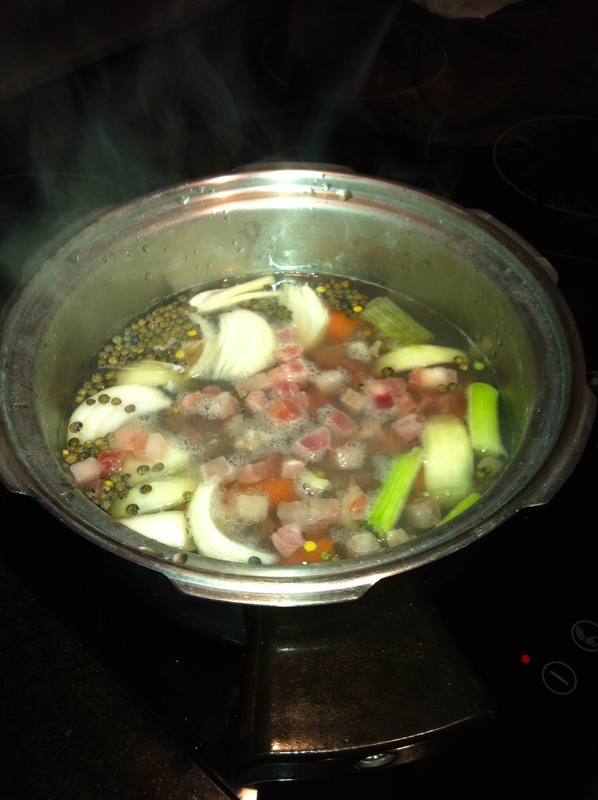 Prepare 500ml of vegetable stock and add a bit at a time. Simmer until absorb and add some more until the rice is cooked and the stock has been absorbed. Boil the asparagus (4), chop and add to the rice with some butter and parmesan. You can also add some parma ham. Delicious. Easy to do but you do have to stay next to the pan while the rice is cooking. It takes between 20 and 30 minutes to prepare this risotto. …and salad would be the perfect dish to suit the weather! 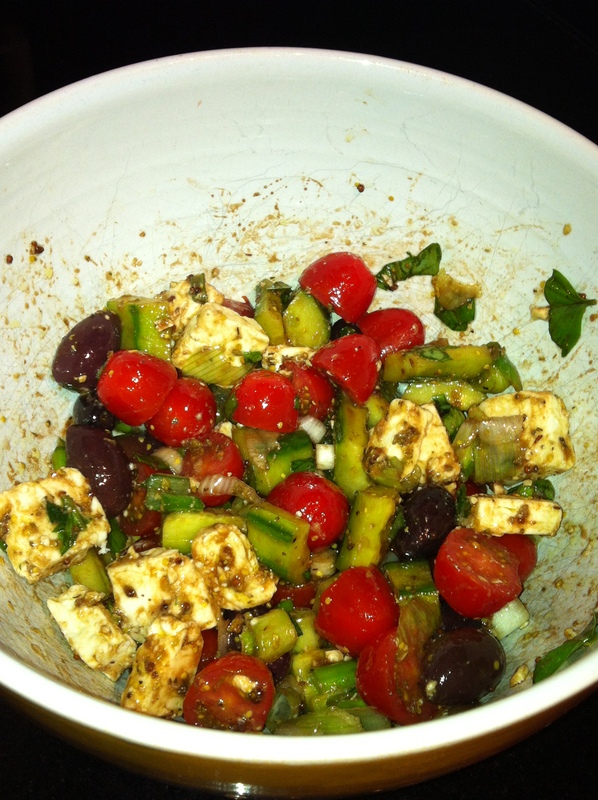 I like to prepare a vinaigrette with salt, pepper, mustard, vinegar (1 table spoon) and olive oil (4 table spoons), add some spices such as fresh basil and oregano; and then cherry tomatoes, cucumber, black olive, spring onions and feta cheese. 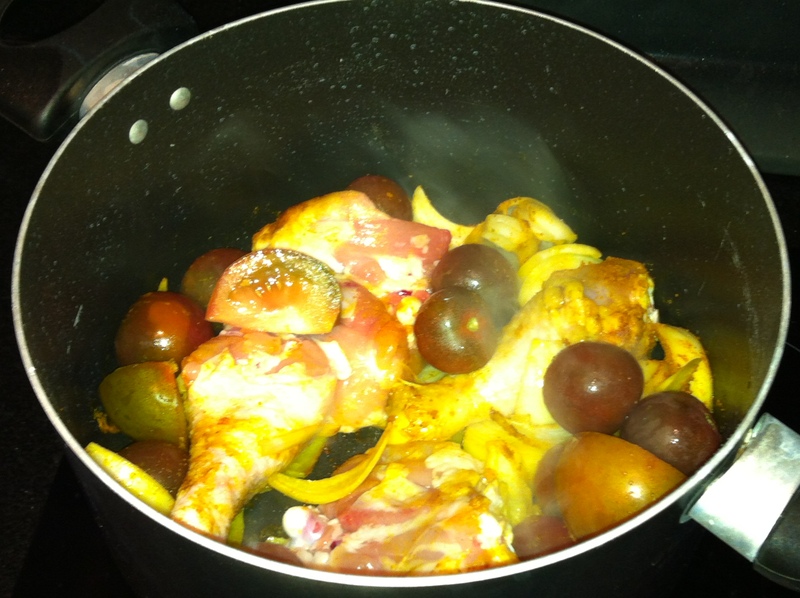 In addition to being very good for you it also looks nice with all the mixed colours – the perfect quick family recipe! Steam courgette, once cooked add some vegetable stock, mix until you obtain a smooth soup, add a dash of curry, a little of tarragon (I also try with a little bit of mint once it is was quite nice) and some mascarpone to make the soup more creamy (Me & The Boys like to use Philadelphia or Laughing Cow cheese instead of mascarpone). In a pan fry diced onion and garlic in olive oil, once the onions become golden, add diced aubergine and a couple of minutes later sliced courgette (courgettes are slightly longer to cook than aubergine). Make sure there is enough water produced by the courgettes and aubergines so that it does not stick to the pan; if not you can add some water. Add thyme, rosemary, laurel, basil and oregano. Cook on medium heat until vegetables become soft. Half way through cooking (after 1 min. approx. I add a few tomatoes) and a coffee spoon of brown sugar to remove acidity given by tomatoes. Ready in 10-12 minutes and delicious. Slice the courgettes (1/2 inch – 1 cm). Pan fry some garlic (and chili if you like spicy), add the courgettes, some oregan, salt and pepper. Stir a bit. Cover for 10 minutes under medium heat. Add 1/2 lemon juice, stir. It’s ready. I love avocados and it is full of good stuff: vitamins, fiber, potassium, folic acid and it is also very good for your heart; as it contains lots of good fat. 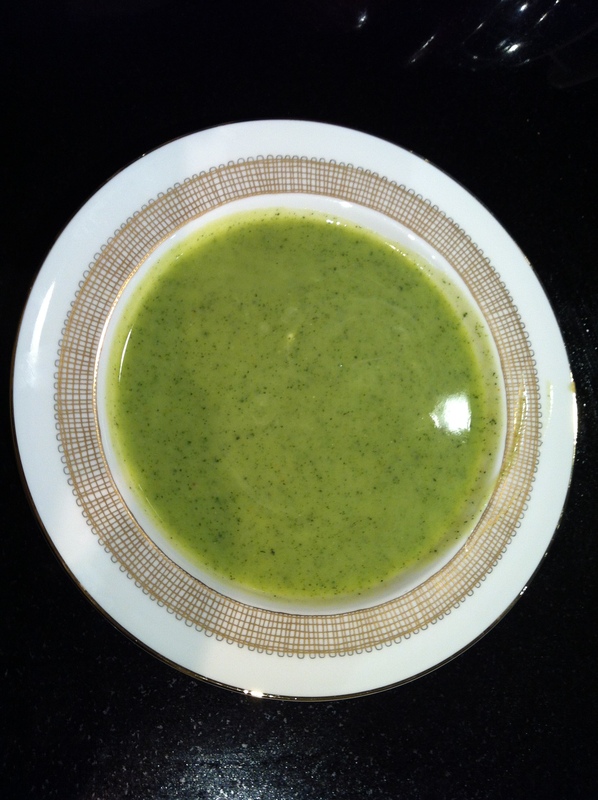 Until recently Mellow and Jed did not like avocados, so I started to serve it more regularly and tried different ways. Take the skin off, slice it and prepare the American sauce as a dip: mayonnaise and ketchup! A lot of avocado and a little bit of American sauce. Delicious. Vinaigrette is nice as well. Mash the avocado with some lemon juice, salt and pepper and some spices (I use Schwartz’s All Spice); onion and garlic are great but optional. Great for a dip with veg, a side with chili con carne, with tortilla chips or in fajitas. Because I love avocado, I often add it to salads which can be done with minimal effort. You can try this recipe from Me & The Girls. My favorite one is rocket, pancetta (previously cooked in a pan), croutons (either bought and home made – diced bread cooked in a pan with olive oil), tomatoes and avocado. Halves walnuts are great as well, and potatoes if you think it won’t be enough.